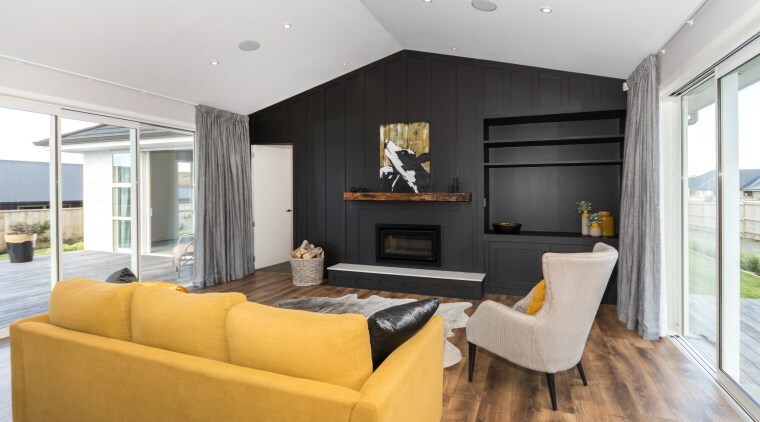 This Landmark showhome, the Waiata, has exceptional indoor-outdoor flow. 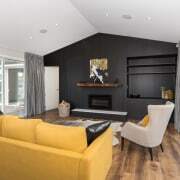 The feature wall in this light-filled room is finished in Resene Nero. A feature interior wall in a strong colour can draw attention to the scale of a room, add drama, and offer varied backgrounds for furniture, drapery and artworks. This spacious showhome has two living zones, one with a high stud due to its gabled roof form. Stacker doors open this expansive sunny room to a large wooden deck. With so much natural light flooding into the living, dining, kitchen zone, the designer opted for a feature wall in Resene Nero. This inky black yet easy-on-the-eye colour complements the soft tones of Resene Double White Pointer introduced on the walls and skirtings. Resene Quarter Rice Cake is used on doors and architraves while Resene Eighth White Pointer sets off the lofty ceilings. 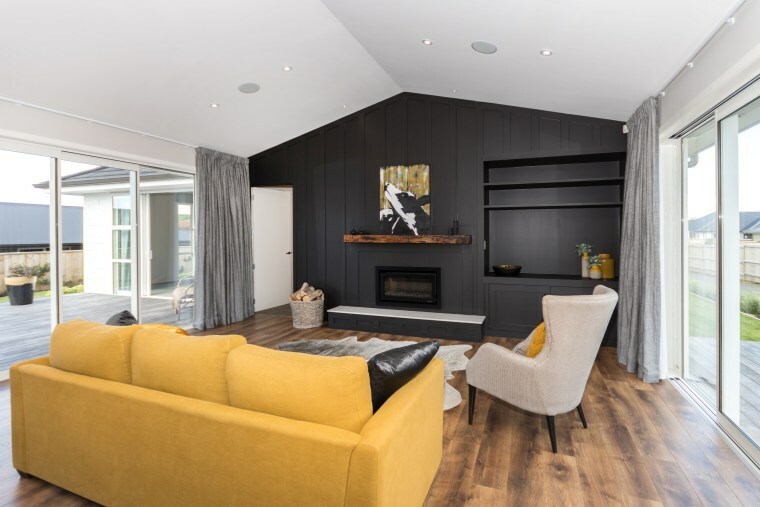 The introduction of Resene Nero in the primary living room also helps bring the outside in, as this colour features on the home's external Linea Weatherboard too. Surface selections are made easy with these colours as they were all chosen from the Resene Whites and Neutrals collection a range where all the tones are designed to ideally complement each other.